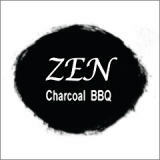 Zen Charcoal BBQ in South Yarra is Melbourne’s number one Korean charcoal BBQ venue. Open 7 days a week, serving lunch and dinner Monday - Saturday and dinner on Sundays. Start your meal with one of the delicious starters - maybe prawn tempura, sashimi salad or edamame? For dinner, take your pick from their huge menu, including premium grade wagyu, eye fillet, marinated beef ribs, pork belly or a range of hot pots! Have you ever tried dessert style spring rolls? Finish your meal with choco harumaki, deep fried chocolate filled spring rolls served with vanilla ice cream. Zen Charcoal BBQ also has an extensive drinks menu with Japanese, Korean and Chinese beer and lager variations or local lager, ale and cider. They are also home to a very impressive and exciting cocktail menu you’ll want to drink your way through, including the Japanese Slipper, Sake Chiller, Tequila Sunrise, and Banana, Strawberry or Kiwi Mak. If wine is more your style bring your own, or they’ve got a collection sure to impress. The dining area has cool, industrial vibes, with exposed pipes and a bbq station at each table. Outside, you can find a plant covered balcony with umbrellas and tables for outside dining or drinks. Visit Zen Charcoal BBQ for fresh, delicious meals with premium Wagyu and an outstanding variety of drinks.